GEORGETOWN, DE – The month of March is typically slow in the world of Northeast dirt Modified racing. 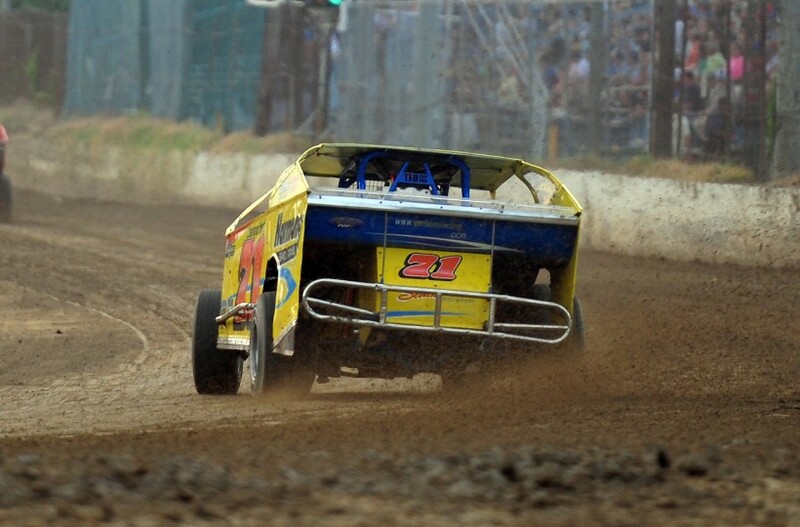 For Delaware’s Georgetown Speedway, however, it is all systems go! On Saturday, March 5, the first open practice session of the year is set for Georgetown. Pit gates open at 1 p.m., with on-track action targeted for 3 p.m. Pit admission for the open practice is $20. Grandstand admission is free of charge. Any race car able to pass safety inspection is permitted to attend the practice. Six days later, on March 11, a second open practice session is scheduled to precede the Melvin L. Joseph Memorial on the 12th. The Friday night test and tune will have gates opening at 4 p.m. Cars will hit the track at 6:30 p.m. Again, pit admission is $20, with grandstand admission free. The season-opening dirt Modified event takes place on Saturday, March 12 with the Melvin L. Joseph Memorial. Headlining the program is the first Bob Hilbert Sportswear Short Track Super Series Fueled By VP South Region event of the ’16 campaign, with the potent big-block/small-block Modifieds battling 49 laps for $4,900 to win, $1,000 for 10th and $490 to take the green in memory of the speedway’s founder. Lap money, bonus award and contingency prizes will further ‘sweeten the pot’ for competitors. Also on the card: Crate 602 Sportsman ($1,000 to win, $100 to start), Southern Delaware Vintage Stock Cars, Little Lincolns, Delmarva Chargers and Delaware Super Trucks. Pit gates open at 11 a.m., with the grandstands unlocked at noon for the Melvin L. Joseph Memorial. Hot laps hit the track at 2 p.m. and racing follows at 3 p.m.
A Sunday, March 13 rain date has been reserved, if needed. The Microtel Inn & Suites Georgetown/Beach Area, located less than a mile from the speedway on Route 113, is offering discounted rates to the racing community planning to attend the Melvin L. Joseph Memorial. By mentioning “Georgetown Speedway” while making a reservation, a $99 nightly rate is available for Friday, March 11 and Saturday, March 12. Contact the hotel directly by phone at 302.859.5111 to make a reservation. The Microtel Inn & Suites Georgetown/Beach Area website is www.microtelgeorgetown.com. The final event of March at Georgetown is scheduled for Friday, March 25 with the Deron Rust Memorial. For this event, small-block Modifieds top the program in a 33-lap main paying $3,396 to the winner and $396 to start: a tribute to Rust’s car number. Crate 602 Sportsman, Southern Delaware Vintage Stock Cars, Delmarva Chargers and Delaware Super Trucks fill out the show. Pit gates will open at 4 p.m. Grandstand gates are unlocked at 5 p.m. Hot laps hit the track at 6:30 p.m. and racing begins at 7:15 p.m.
A new website for the speedway is live at www.thegeorgetownspeedway.com. Like “Georgetown Speedway” on Facebook, follow @thegtownspdwy on Twitter, e-mail georgetownspeedway@gmail.com or contact Brett Deyo at 845.728.2781 during business hours for more information.